It’s our village Christmas market in a couple of weeks and of course I was keen as mustard to get involved-as we are so new here it’s a great chance to meet the locals and get stuck into village life. Of course it’s not as simple as that. My fellow stallholder Cathy(an incomer like me as she has only been here for 42 years) told me she got involved in a marmalade war once and it wasn’t pretty. So it is with some trepidation that I have made a batch of my Christmas chutney in the hope that I won’t tread on any fellow chutney makers toes. I’ll also be making other festive goodies so if there is a stand-off I can quietly hide my jars and carry on. This is a recipe that I have been fiddling with for a while and now it’s how I want it. Whole clementines simmered until squishy and chopped up into the mix give a welcome sharpness and bite along with a good scattering of cranberries,while the dates and and apples provide balancing sweetness. 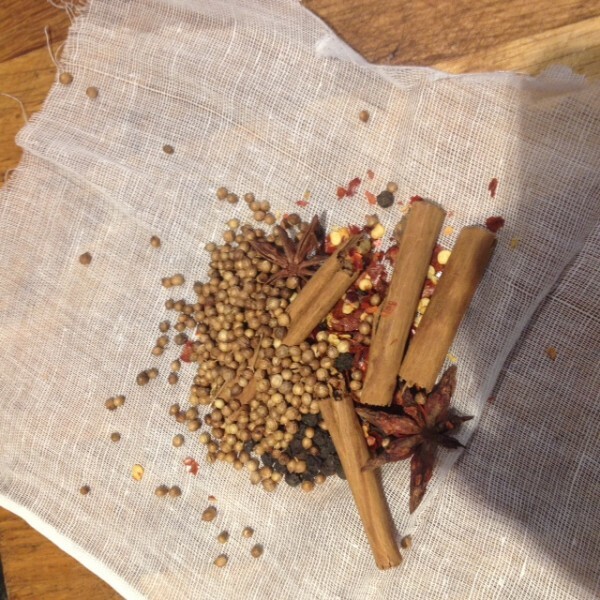 Warm festive spices including cinnamon, coriander,star anise and ginger add warmth and if you make a batch this week the flavours will have mellowed just in time to liven up a cheeseboard,Boxing day cold meats or charcuterie. 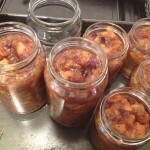 And of course fellow foodies will greatly appreciate the gift of a jar- much better than bath salts any day. Cut a 25cm square of muslin or j-cloth. Break the cinnamon sticks in half and put in the centre of the square with the coriander seeds, star anise, peppercorns and chilli flakes. Tie up into a pouch with kitchen string. 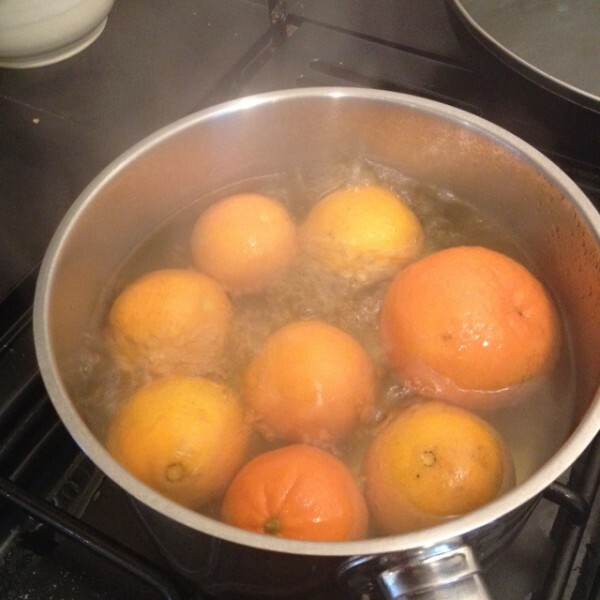 Put the clementines into a pan with water to cover and bring to the boil. Reduce the heat and simmer for 30 mins until soft. Drain and leave to cool. 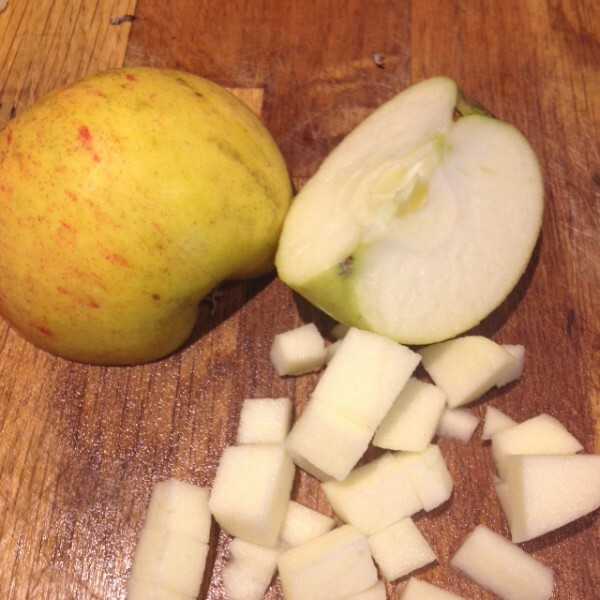 Pour the vinegar into a large wide pan(or preserving pan if you have one) Peel, core and finely chop the apples. Finely chop the onions. Halve the clementines and remove any seeds, then chop up the whole clementines, skin, flesh, pith and all. 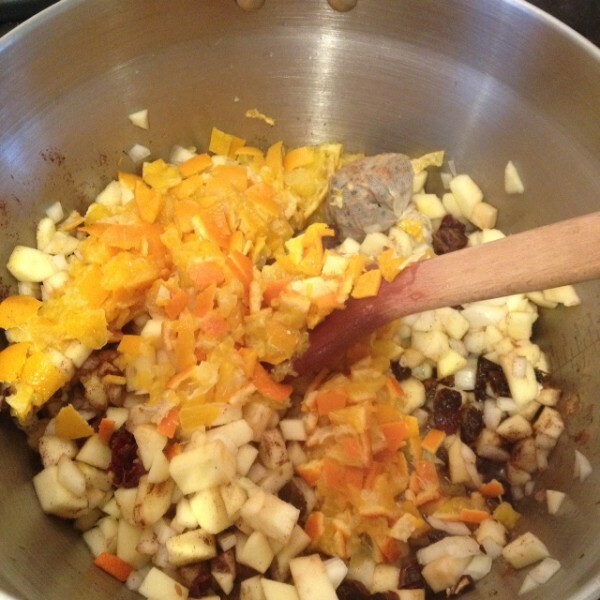 Add the apples, onions, clementines, dates, cranberries and ginger to the pan, along with the spice bag and salt. Bring to the boil, then simmer partly covered(a piece of foil works well if you don't have a lid)for 15-20 mins until the apples are soft. Stir in the ground spices and sugar and return to the boil, stirring until the sugar has dissolved. 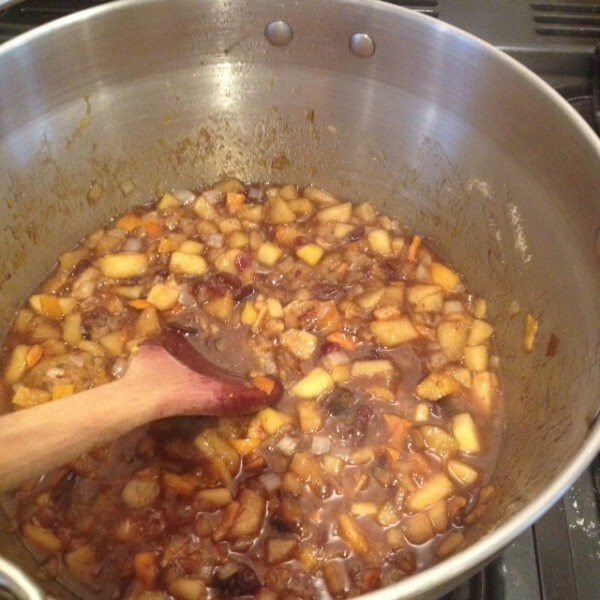 Increase the heat and simmer for about 30 mins, stirring occasionally until the chutney is thick and pulpy. Spoon into warm sterilised jars, screw on the lids and label. Store for 2 weeks before opening. This chutney will keep for at least 6 months. To sterilise jars, wash well in hot soapy water, then rinse well and place upright in a roasting tin. Place in the oven at 180C/Fan 160/Gas 4 for 10 mins. This entry was posted in preserves and tagged christmas, chutney, clementines, cranberries, dates, festive, gifts, markets, preserving, spices on 1st December 2015 by marycadogan.